Welcome to the latest issue of Golf Information News - your guide to what's worth reading in golf course architecture. The epic Bible of GOLF is perhaps one of the most unusual and unexpected delights, designed as much for the non-golfer as it is for the enthusiast. Every page of this unique illuminated tome is designed to be a treat on the eye, blending original art with poetry, rare and previously unseen photography with classic literature - and humorous illustration with satirical word craft. 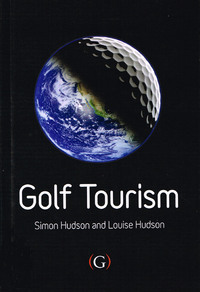 'Golf Tourism' is the first textbook for both students and practitioners of this vast and growing worldwide industry. Comprising ten chapters it discusses issues such as: The evolution of golf tourism; the size and value of the market and the key players that make up the golf tourism product. A round up of recently published articles from a range of magazines and online newsletters. All the usual titles have been covered, including the latest issues of Greenkeeper International, Greenkeeping and the STRI Bulletin for Sports Surface Management. Our thanks to the publishers, who have allowed us to include their journals in the newsletter.